The building which is used by a Muslim Association in the Swedish town of Borås has been vandalized, with pig’s head left outside, and graffiti “Vive La France” sprayed on an outside wall. 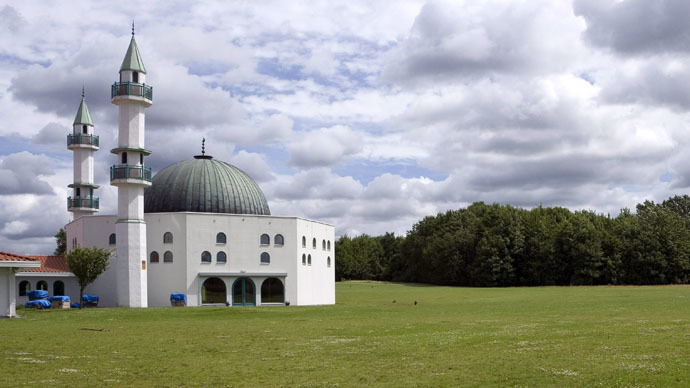 The facility is used by the local Svenljunga Muslim Association. Police are investigating the incident. The pig’s head is offensive for Muslims, as its flesh represents a taboo in Islam. It’s not the first time such an act of vandalism took place in the area: just over a year ago, a pig’s head was left outside a mosque in a nearby town, Limmared. Swedish mosques were attacked three times over the New Year: a firebomb and a Molotov cocktail were thrown at a mosque in Uppsala on January 1, while five people were injured when a petrol bomb was tossed through the window of a mosque in Eskilstuna on December 25. Finally, an attack happened in the southern Swedish town of Eslov, just after 3 am local time on December 22. No one was injured. The same mosque was attacked in autumn, local newspaper Expressen reported.